Even after Kobe Bryant retired from the NBA at the end of last season, LA fans fill up the Staples Center each week to see the Lakers. The titles and heroes of past years adorn the walls and the magic stirs once again. Most importantly, many in the audience still wear the same Bryant jersey — the iconic number eight (and later 24) in purple, gold, white or even black. With a 20-50 record going into the home stretch of the 2017 season, holding onto the past is beginning to feel much more comforting than facing the Laker’s current reality. Life after Kobe was never going to be easy, and the Lakers’ recent history has only proved that fact. The Lakers haven’t reached the playoffs since 2013, recorded a franchise-worst record last season and sit at the bottom of the Western Conference this season. Former GM Mitch Kupchack, who spent years building winning teams around his superstar, looked like a man who had run out of ideas at the helm. He would throw big money at older players like Luol Deng and Jose Calderon to supplement young talent. They have not even come close to filling the void left by Bryant. “We had a player for 20 years who I guess would be untouchable, you know, Kobe Bryant. But we don’t have a Kobe Bryant right now. We’re hopeful some of those guys can have careers that approach what Kobe’s done, but we don’t know that right now,” Kupchak said. Lakers president Jeannie Buss decided it was time for a change and fired Kupchak Feb 21. Buss then accepted the resignation of her own brother Jim Buss from his position as Executive Vice President of Basketball Operations and hired former Laker Earvin “Magic” Johnson as president of basketball operations. 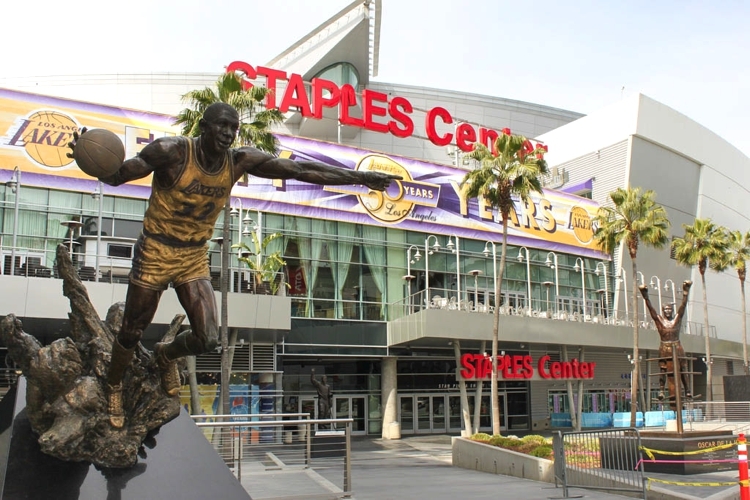 The hiring of Johnson, a five-time NBA champion and career LA Laker, is yet another example of the player-turned-businessman’s investment in Los Angeles sports. Johnson was a key investor in the 2014 purchase of the LA Sparks, a team that has since won back-to-back WNBA championships. He also personally chipped in $50 million as part of the ownership group that bought the LA Dodgers in 2012. His days on the court may be long behind him, but Johnson is the first superstar and proven winner the Lakers have added to the organization since Bryant’s departure. A familiar face and competitor who is committed to rekindling the Laker’s winning tradition is a great marketing tool for both players and fans, even if it means bringing along the worst twitter account in the NBA. Unfortunately for Lakers fans looking to develop current players, marketing appears to be the chief impetus for Johnson’s hiring. To analysts and fans alike, this didn’t seem like a change that actually puts the Lakers any closer to a championship. Whether Johnson will help put talent on the floor or fans in the seats remains to be seen, but Jeannie Buss wasn’t done making changes. Buss named Rob Pelinka, a sports agent whose clientele included Kobe Bryant, as the new GM of the Lakers March 7. Pelinka comes into the Lakers organization with lofty goals to take the Lakers beyond the success they enjoyed in the Kobe-era. “We’re going to deliver on Jeannie’s challenge to us to make the Lakers the greatest sports franchise in the world. That will happen,” Pelinka said. Perhaps he will. He was hand-picked by Buss and Johnson as someone who would fit right into the organization and would form a strong partnership with Johnson. “When I thought about who I really wanted to start this journey with, and who could I pick that would complement my style and the way I am, and also who is strong where I’m weak, there was no other than Rob,” Johnson said at Pelinka’s introductory press conference. Johnson has a point: Buss essentially hired a marketing specialist and contract specialist to head her front office. How the new duo will handle the gaps between their talents remains to be seen, but without a playoff appearance in the last four years, the hiring is ostensibly a desperation heave. Time will tell, but in a city full of perennial playoff performers, patience for the NBA’s newest sideshow is already wearing thin.